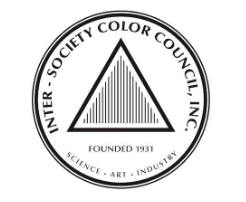 effort of the Inter Society Color Council and the National Bureau of Standards. The ISCC-NBS system believed colors should have names. 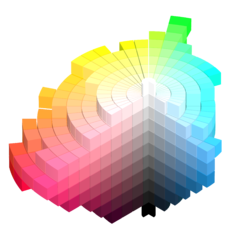 The objective of the system is to assign precise names to the individual blocks of color of the A.H. Munsell color system, using ordinary words. And the systems goal is to designate colors in the Unites States Pharmacopoeia, the National Formulary and in general literature. And the system should be acceptable and usable by science, art and industry, and should be understood, at least in a general way by the whole public. Then there are 16 intermediate categories, such as: reddish orange (rO) so an adjective and the hue name. other example: purplish blue (pB). These categories can be further subdivided into 267 named categories by combining a hue name with modifiers. 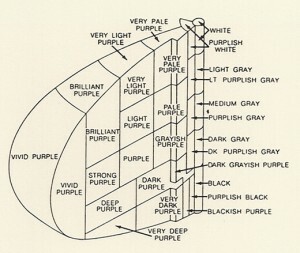 Like the subdivision for Purple, you have all these works for how the color feels/looks, like: “blackish” (bk. ), “dark-ish gray” (d.-ish Gy). So they really wanted to find a way to objectively measure a color. And I feel that this way is pretty objective for a color naming system. I find that this system is fast and easily communicated through the system they made using the brackets.